Relax with a cup of coffee and your reading. Enjoy your dining room table with Superior Table Pads. We’ve had some lovely cool, crisp weather recently in Chicago. I’ve even started seeing pumpkins for sale. All this has made me think in fall colors at home. I’m now using oranges, reds and yellows as I set the table. There are still plenty of fresh flowers in these colors. Use them to make your table setting pop! 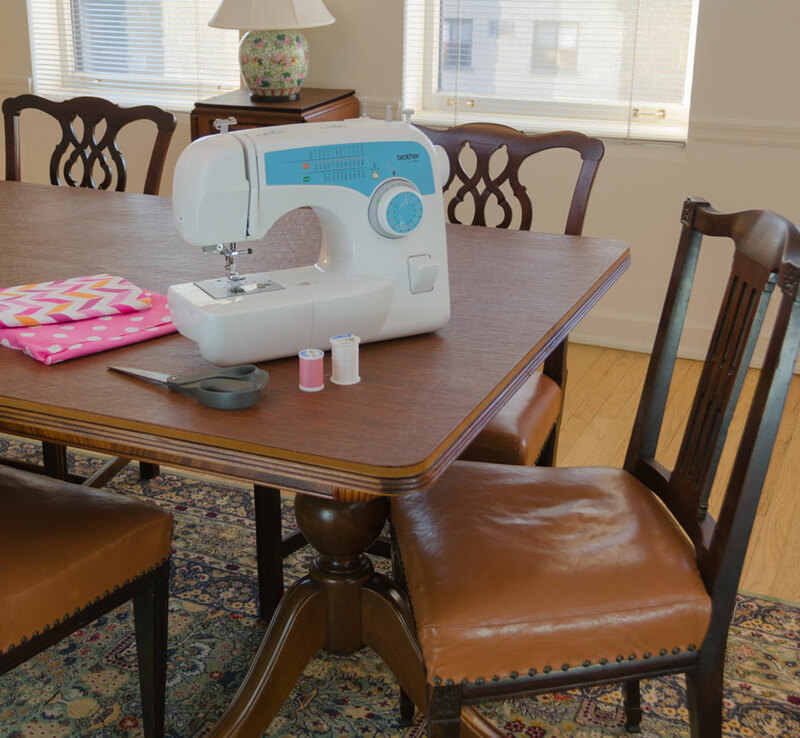 Ever wished for more space to spread out your fabric and patterns? Don’t like being banished to the basement for your sewing projects? 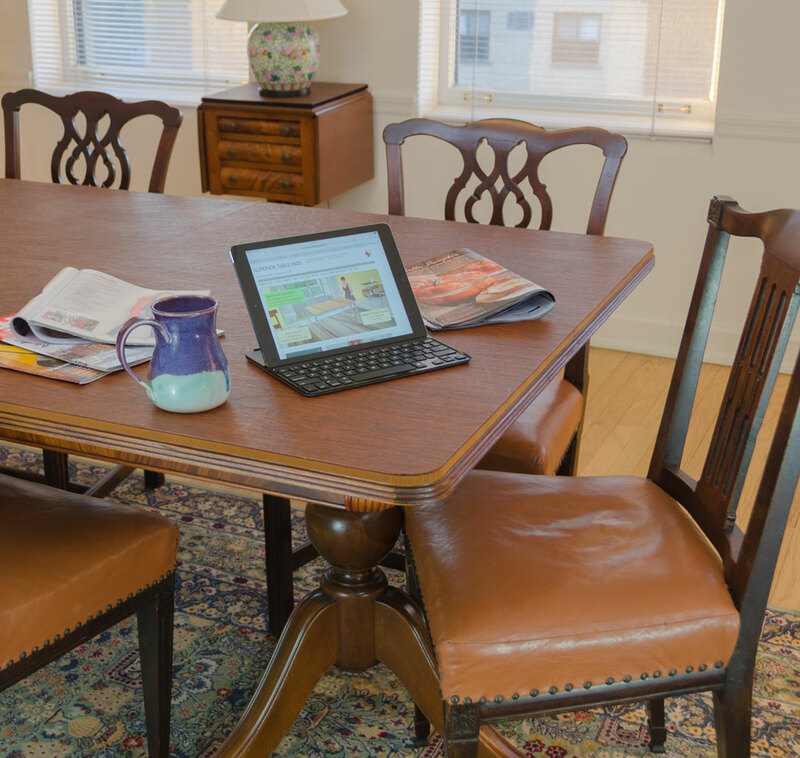 Reclaim your dining room table with Superior Table Pads on the table. 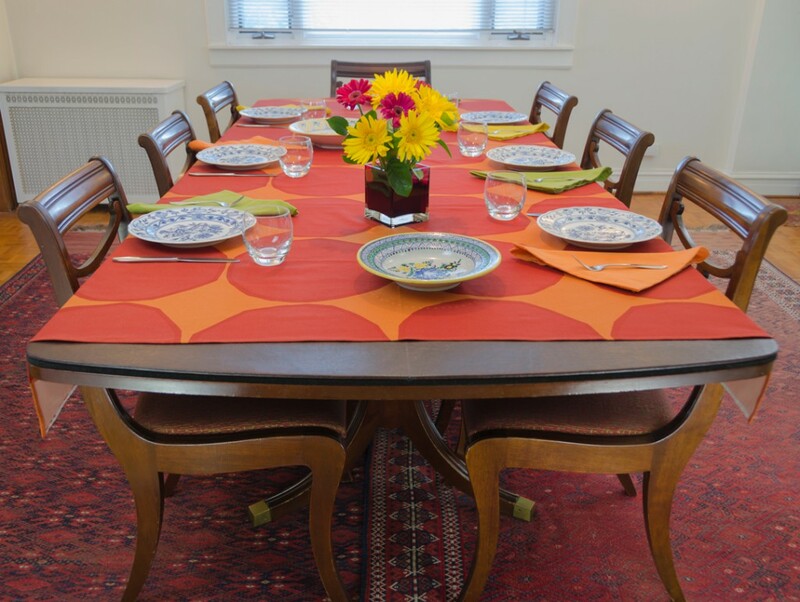 I love my sunny dining room and enjoy putting the table to use when not entertaining guests. When I work in the dining room I can more easily keep an eye on what’s cooking in the kitchen and hear what’s happening in the rest of the house. 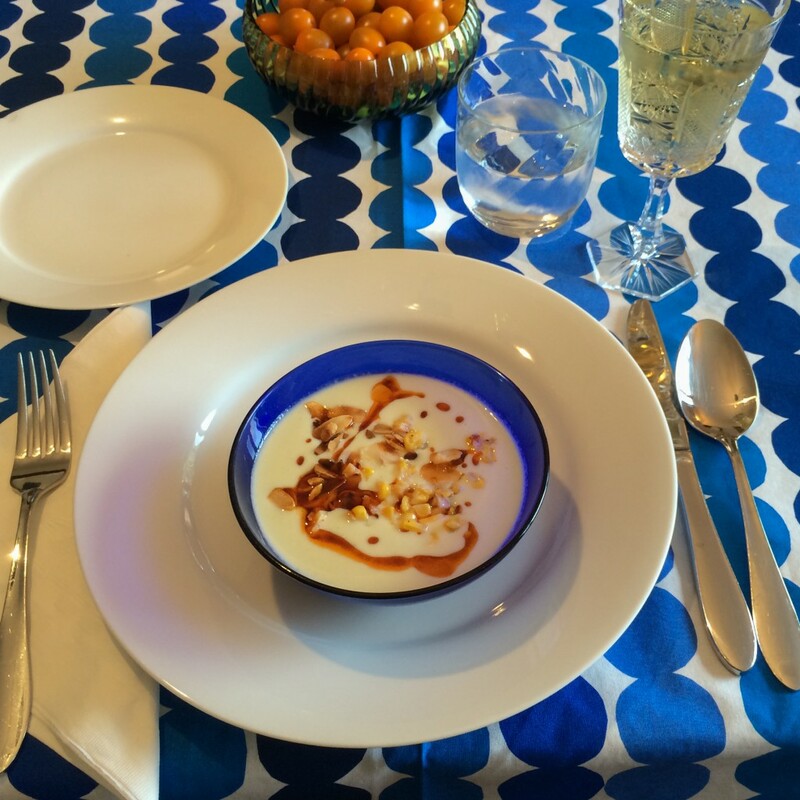 We were delighted to be introduced to this delicious soup, originally from the Andalusian region of Spain. Naturally, our hosts had Superior Table Pads under the cloth! Guests passed the soup tureen and water pitcher as well as beautiful dishes of garnishes. Everything could be easily set back down on the table without worrying about multiple trivets. This ease of serving made for a relaxed and enjoyable evening for guests and hosts alike.